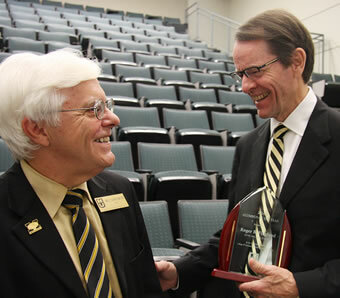 CVM Alumnus of the Year for 2016 Roger Fingland (right) shares a laugh with Dean Neil C. Olson following the presentation of Fingland’s award. Roger Fingland, a 1981 graduate of the University of Missouri College of Veterinary Medicine, was named the 2016 Alumnus of the Year during the CVM’s Alumni Reunion Weekend held Sept. 23-24. Originally from Sedalia, Missouri, Fingland began working in a local veterinary clinic was he was 14. Fingland said his original goal was to drive a big four-wheel drive truck to farm calls. However, his first surgery rotation in veterinary school convinced him that he wanted to be a surgeon. He also developed a desire to teach others. He recalled asking his mentor James Coffman, a professor of equine medicine at MU, how he had become such a great teacher? ‘Well, Roger,” Coffman responded. “I guess I remember what it was like when I didn’t know,” Fingland recounted. He served as professor of surgery and chief of Small Animal Surgery at Kansas State University College of Veterinary Medicine. While there, he became internationally recognized for his work on surgical management of tracheal collapse in small breed dogs. He trained many veterinary students, interns and surgery residents before becoming executive associate dean and hospital director at Kansas State. 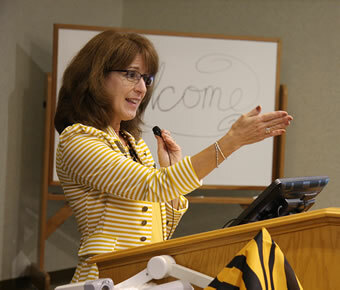 Senior Director of Advancement Janie Harmon welcomes Alumni Weekend attendees to the Friday evening dinner. Earlier this year he returned to Ohio State as executive associate dean and professor of surgery for the College of Veterinary Medicine, and executive director and chief medical officer of the Veterinary Medical System. CVM alumni compare their photographs in their class composites to how they appear now. Fingland is a diplomate of the American College of Veterinary Surgeons. He has published numerous scientific articles and book chapters and delivered hundreds of continuing education presentations at local, national and international meetings. He serves as the secretary-treasurer and member of the executive committee of the American Association of Veterinary Clinicians and the director of the Veterinary Internship/Residency Matching Program. Among his honors, he has received the Norden Distinguished Teacher Award, the Merck National Award for Creativity in Teaching, the SCAVMA Teaching Excellence in Clinical Sciences Award and the Leadership Kansas Jim Edwards Alumnus of the Year Award. 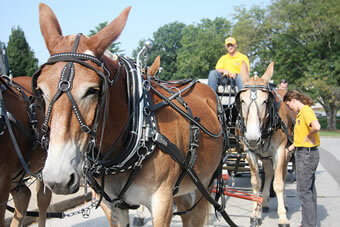 Both mule teams, Tim and Terry and Kate and Molly, worked together to provide wagon rides to reunion attendees. He thanked his family, especially his wife, Ann, for their support, and the people who influenced his career: the veterinarians he had shadowed as a teen, his professors at Mizzou and his professional colleagues. “All I did was try to emulate what they taught me and the kind of people that they are,” he said. 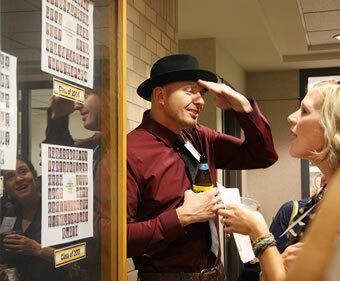 The alumni reunion dinner took place Sept. 23 in Adams Conference Center. Other reunion activities included a brunch with retired faculty members prior to the Mizzou Tigers football game against Delaware State, rides with both CVM mule teams, Tim and Terry and Kate and Molly, and tours of Clydesdale Hall.